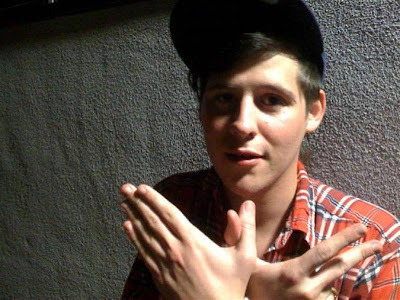 Tonight: LA rising-star WAVVES makes his first NY appearance at Market Hotel with the equally awesome Blank Dogs. Also on the bill are Woods, Gary War and Nodzzz. The same artists play Less Artists More Condos on Saturday night. Saturday: We won't be making it to Less Artists as we are heading to the Mercury to catch one of our favorite bands of '09 Pains of Being Pure at Heart who just got Best New Music today from Pitchfork. Sunday: Lucero comes to the Mercury after two nights playing Terminal 5 with the Black Keys. Monday: We're heading uptown with our Blue Note friends to catch Willie Nelson, Norah Jones and Wynton Marsalis play Ray Charles tunes as part of Blue Note's 70th anniversary celebration. Tuesday: Lily Allen plays a free Myspace Secret Show at Bowery. Wednesday: Lissy Trullie celebrates the release of her great new EP at Mercury Lounge. As you all know, we think she's just tops. Not to mention a million other great things that are probably happening those nights as well. I don't know if you guys reported on this earlier, cause, like, I don't think that much of your stinking blog anyway, but it's kind of interesting. Not that often that a band signing a 3 record deal with a major gives me the sense that justice has been served . . .